Colours are an essential part of life, each colour has a hidden meaning; have you wondered why doctors always wear a white coat in emergency rooms of hospital or why Mc Donald uses red in their slogan? Colours have a great value and adding proper colours in architecture and laminated glass make it more noticeable and stunning. Just imagine the glorious look and affect which would come up if we combine digitally printed glass with the bright and lasting Vanceva colours. Many of the great artists today are exactly doing this; they create eye popping places by using Vanceva Laminated Glass. Many art galleries have been installed by custom laminated panels to create an imaginative look. These panels have been custom selected and given depth and shade. Even the inner and outer look of these panels gives different colour looks. It depends on the individual's preference what he chooses best for his place. Impala Glass Industries can help you in making the choice. 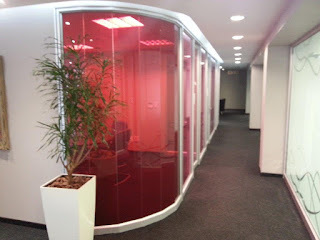 Impala Glass Industries, Nairobi, Kenya have a huge range of over 3000 transparent and translucent Vanceva glass colours. They can be used at many places. The coloured interlayer is laminated between 2 pieces of glass; it ranges from pale white and brown to vibrant and bright pinks and purples. To attract the eyes of artist, designers, architects and engineers, Vanceva Laminated Glass are available in transparent, translucent and opaque colour options. Vanceva colours at Impala Glass Industries are durable and long lasting even under direct sunlight. They are different from other dyes and made up of light and heat stable pigments. So even if your Vanceva Laminated Glass is in the facade, garden, roof or balcony exposed to light it would not be damaged. The custom coloured Vanceva Laminated Glass is usually constructed by combining one to four sheets of Vanceva colour interlayer, and so is assigned with four digit numbers where each number represents the layer of foundation palette used. All the combinations are perfectly mingled up to transform the place.